Jenny played softball for 4 years at the University of Wisconsin-Eau Claire. She also had the opportunity to compete overseas during her career. After her playing career ended, she spent the next 3 years coaching at UWEC, UW-Stout, and giving private instruction. She is currently a recruiter and coach for American International Sports Teams, giving athletes the experience of a lifetime to take their game abroad. Leslie Huntington enters her 16th season in 2016-2017 as the University of Wisconsin-Eau Claire’s head softball coach. She is the Blugolds’ all-time winningest coach and earned her 400th career win on March 20, 2016. In 2008 Huntington led the Blugolds to an NCAA Division III national championship, the first in program history. In 2007 the team finished third in the nation. Between 2004-2006, Huntington received three WIAC Coach of the Year awards in a row, each year the Blugolds won WIAC titles, the first time in WIAC history a team won three straight. She was also named WIAC Coach of the Year in 2012. She has coached seven All-Americans, 40 recipients of All-Region recognition, 46 named first time All-WIAC selections, and eight Academic All-District selections and one Academic All-American. Her coaching staff earned national recognition in 2008 when they received the National Fastpitch Coaches Association (NFCA) Coaching Staff of the Year award. In 2006 and 2007 the coaching staff earned NFCA Great Lakes Region Coaching Staff of the Year. In 1997 and 1999 Huntington’s teams at Simpson College in Indianola, Iowa won NCAA Division III titles. In 1996 and 1998 the teams finished third in at the NCAA Division III National Championship. Huntington also served as head athletic trainer at Simpson College for six years. In 2000 and 2001 she was the co-head coach of Nevada Community Schools softball program in Nevada, Iowa. Huntington spent two years as a certified athletic trainer with the Des Moines Sports Medicine Clinic in Des Moines, Iowa. Huntington earned her bachelor’s degree from Buena Vista College in 1992 and was a two-sport athlete. She played first base and was a co-captain on BVU’s NCAA Division III national runner-up softball team in 1992. She was a GTW/CoSIDA Academic All-Region recipient. She played basketball for four years at the college, whose 1989-1990 team advanced to the Elite Eight of the NCAA tournament. In 2000 Huntington earned her master’s degree from Iowa State University in health and human performance with an emphasis in sports administration. 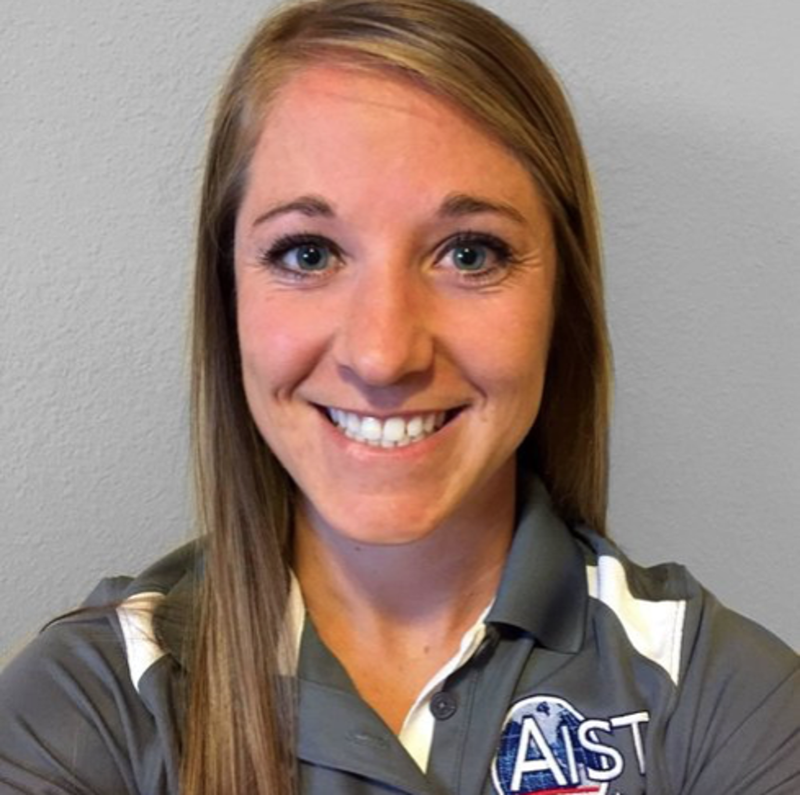 She provides instruction for Altoona, Eau Claire, and Seymour youth fastpitch programs and is the director of Blugold Fastpitch Camps and Clinics. She is a current member of Vice Chancellor-appointed University Assessment Committee at UW-Eau Claire and is a member of Campus Strategic Planning Committee and Student-Affairs Strategic Planning Committee.